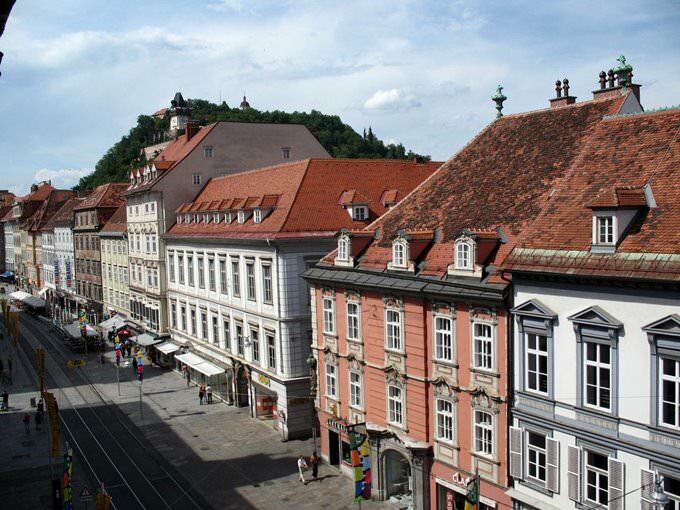 The largest shopping center in Graz is Shopping City Seiersberg, where you can find shops of world-popular brands. A huge choice of clothes is presented in Zara, Mango, Bershka, Vero Moda and New Yorker pavilions. Besides clothes, they sell electronics, interesting accessories, jewelry, cosmetics and perfumery. A significant part of the stores represented in the center refers to an average price category. During periods of sale things are available at very competitive prices. 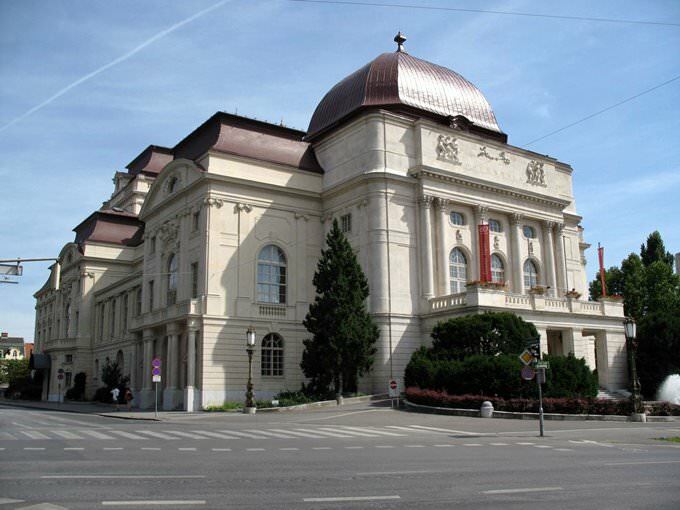 No less attractive is Murpark trading center, where you can find shops of both popular European and Austrian brands. Austrian shops offer really attractive prices. The center is great for a family visit, it has many shops with goods for children and excellent playgrounds. For fresh vegetables, fruits and national delicacies, go to Kaiser-Josef market. This is the largest farm market in the city, that always presents a decent choice of seasonal vegetables, fruits, and meat delicacies. Lovers of natural dairy products will definitely like it here. In the market, you can buy special varieties of homemade cheese, which are not available in any store. Another important place for gastronomic shopping is Edegger-Taks bakery, whose opening took place in 1569. For almost 500 years they've been baking the best bread in the city. Once it has been baked just for the Royal Court. Nowadays, wonderful bread and sweet pastries are available to residents and guests of Graz. Every day locals visit a bakery to buy fresh apple pie, their favorite waffles and a special pumpkin strudel, as well as other favorite treats. In search of unusual souvenirs visit Bauernmarkt market. Small artisans present their crafts here. Customers have a wide choice of classic souvenirs at affordable prices. However, they sell not only souvenirs, there are food stalls, as well, flowers and houseplants. Collectors are usually attracted by pavilions with antiques. Very unusual memorable gifts can be bought in the showroom of MuR - Modernes & Raritaten. They sell artistic and design works, in a variety of which you can choose excellent items for the interior and irreplaceable in everyday life things. Vases of unusual shapes and colors, original figurines and handmade wooden articles, designer lamps and beautiful wooden furniture - great things can be found here for both wealthy and frugal buyers. Orangeandgreen original gifts store is also popular with tourists. Cute colorful pads and floor mats, traditional cards and magnets at affordable prices, unusual umbrellas and decorations for the house - there is everything to appreciate this shop. The price level is also quite attractive. Graz has an excellent Uni-Buchladen bookstore which is located on the first floor of a beautiful historic building. It is really large. There is a huge choice of books on the history and culture of Austria. Still they sell excellent guides and booklets with photos, which are always in demand among tourists. This shop will be of interest to those who has no intention of purchasing books, since it has a department with postcards and other souvenir articles. 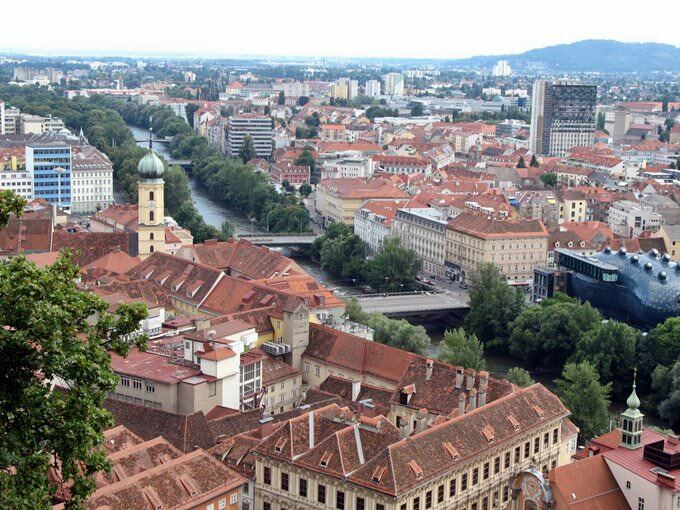 This guide to shopping in Graz is protected by the copyright law. You can re-publish this content with mandatory attribution: direct and active hyperlink to www.orangesmile.com. Shopping advices for Graz. 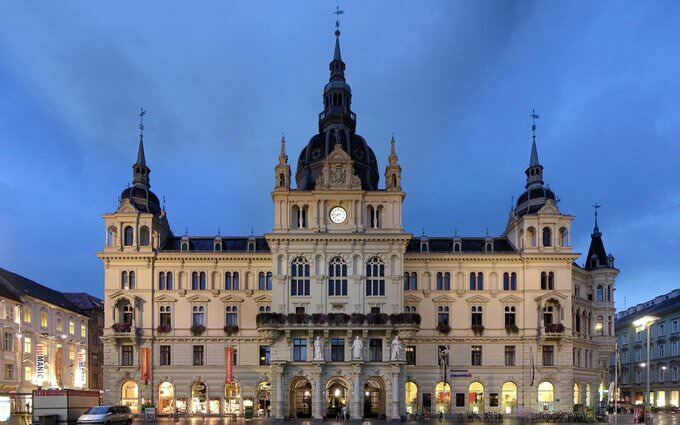 The best spots for buying designer clothes and local delicacies from Austria - shops, galleries, boutiques and outlets. 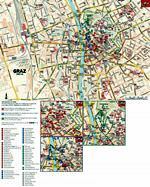 We provide you with the shopping streets map, so you can plan your efficient shopping routes, while hunting for authentic souvenirs, goods, drinks, shoes and clothes in Graz.